Gung Hay Fat Choy!! 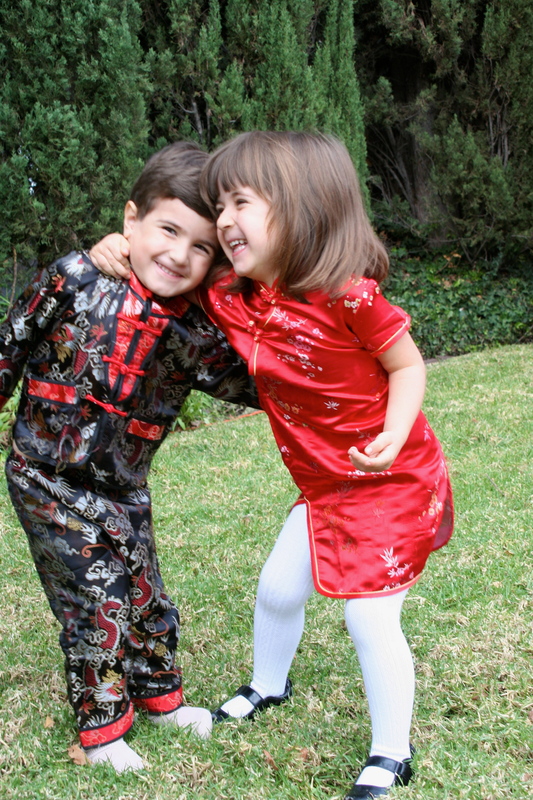 Chinese New Year is this Sunday, February 10th and it’s the Year of the Snake. Chinese New Year is a very special holiday as everything you eat on this day and everything you do determines how your entire year will unfold. Chinese people eat things like Long Life Noodles to symbolize longevity (the longer the life the longer the noodle!) or a whole steamed fish to symbolize abundance. I like to serve my family and friends Potstickers on Chinese New Year because they symbolize prosperity and riches as the dumplings resemble gold ingots. 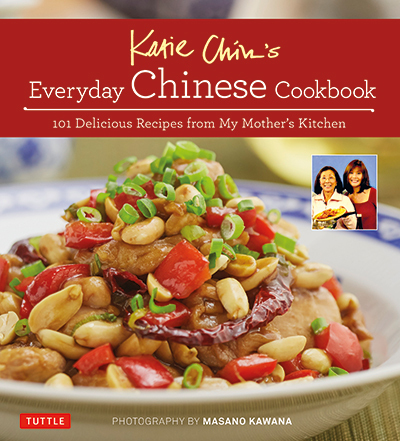 This recipe is made with pork but you could substitute with ground chicken or turkey. 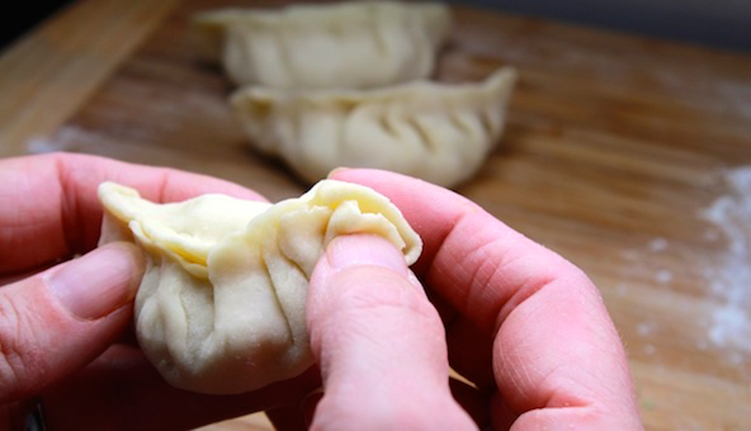 It’s also totally okay to use store-bought potsticker wrappers. You can find them in the produce section of most grocery stores. If you only find the square kind then cut of the edges with a cookie cutter to form a round shape. Kids have fun making these and love gobbling up their creations. 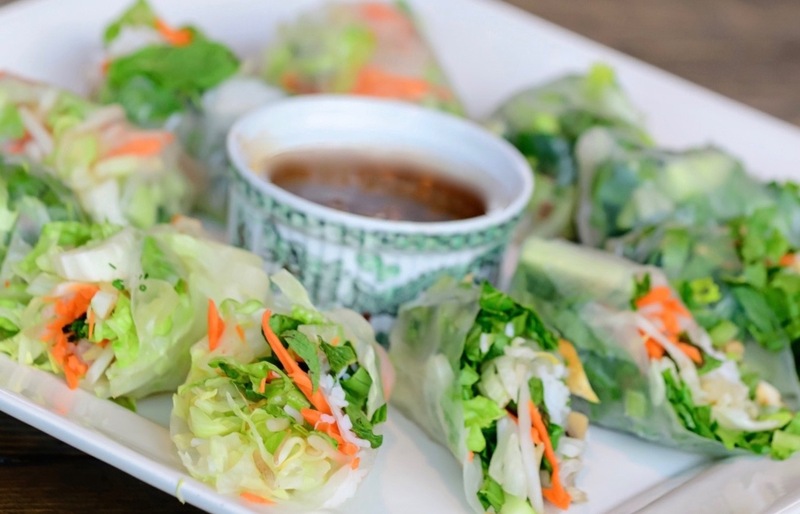 Serve with a yummy dipping sauce made with premium soy sauce and sesame oil. Premium soy sauce can be found in the gourmet section at Cost Plus World Market. 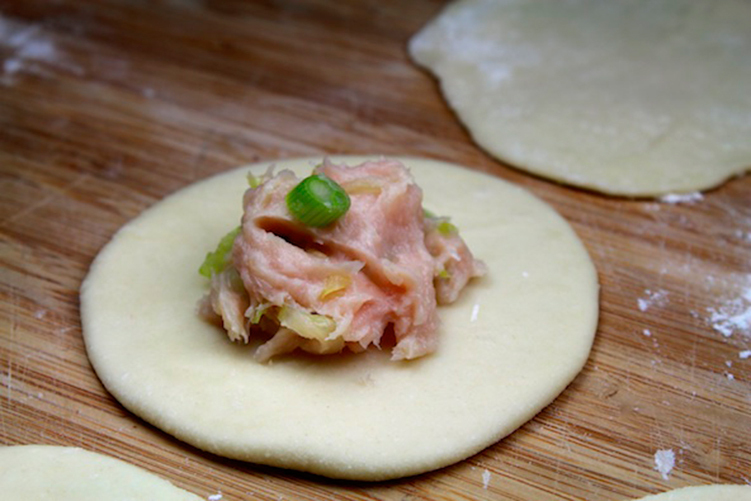 The filling is made with ground pork or chicken, scallions, napa cabbage, sesame oil, cornstarch and some salt and white pepper. 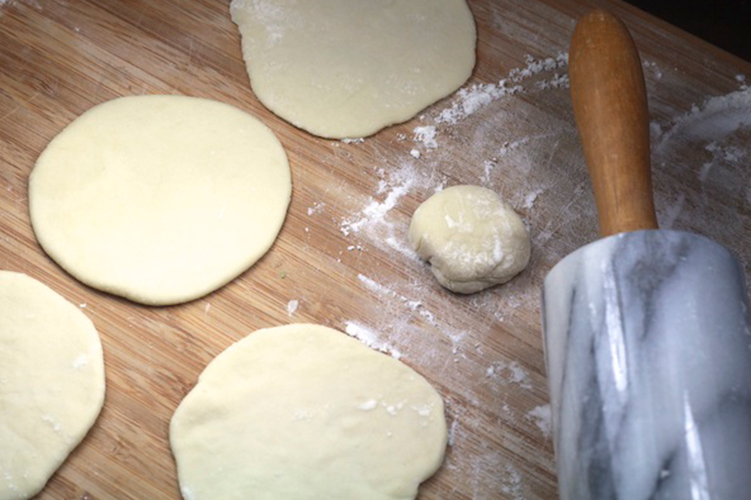 Cut the dough into 1/2-inch slices and roll out into 3-inch flat circles with a rolling pin. Make sure you flour the surface of the cutting board so the dough doesn’t stick. Lift up the edges of the circle and pinch several pleats to create a pouch to encase the mixture. 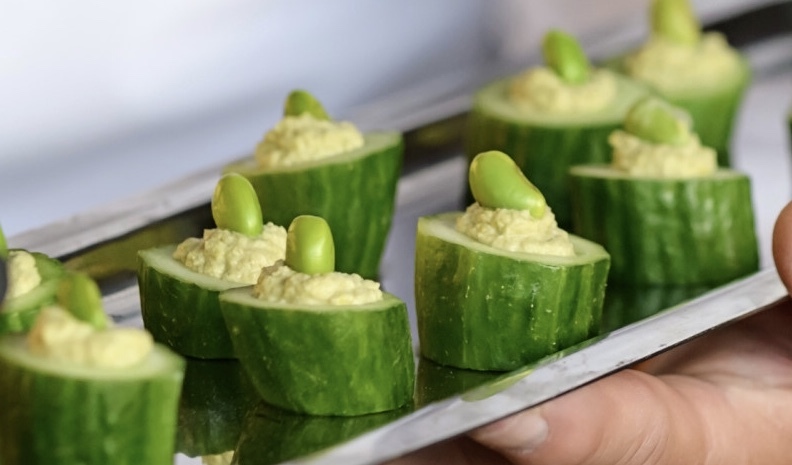 Cut the celery cabbage across into thin strips. Mix with 2 teaspoons salt and set aside for 5 minutes. Squeeze out the excess moisture. 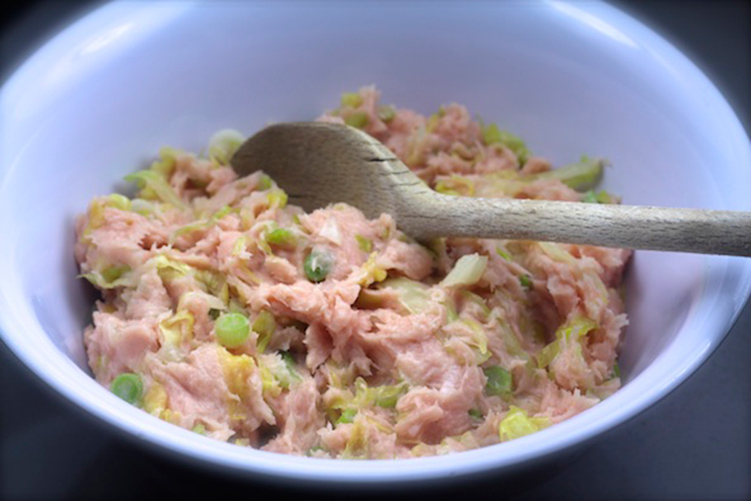 In a large bowl, mix the celery cabbage, pork or chicken, green onions, wine, cornstarch, the remaining 1 teaspoon salt, 1 teaspoon salt and the pepper. In a bowl, mix the flour and 1 cup boiling water until a soft dough forms. Knead the dough on a lightly floured surface about 5 minutes or until smooth. Divide the dough in half. Shape in half into a roll 12 inches long and cut each roll into 1/2-inch slices. Roll 1 slice of dough into a 3-inch circle and place 1 tablespoon meat mixture in the center of the circle. Lift up the edges of the circle and pinch several pleats up to create a pouch to encase the mixture. Pinch the top together. Repeat with the remaining slices of dough and filling. Heat a wok or nonstick skillet until very hot. Add 1 tablespoon vegetable oil, tilting the wok to coat the sides. If using a nonstick skillet, add 1/2 tablespoon vegetable oil. 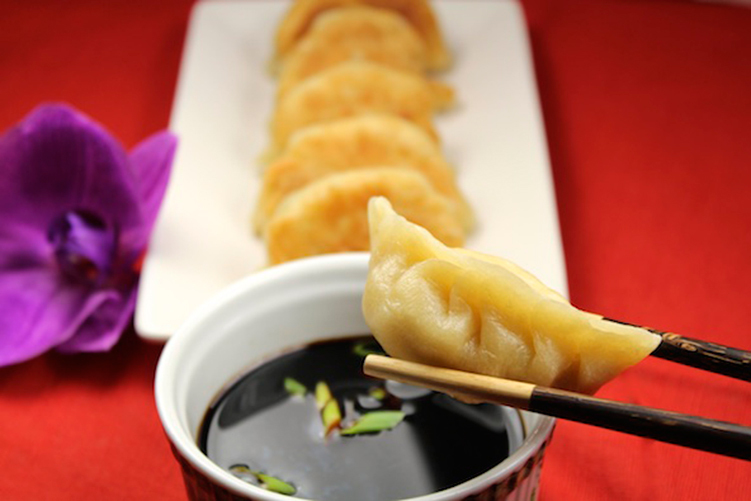 Place 12 dumplings in a single layer in the wok and fry 2 minutes, or until the bottoms are golden brown. Add 1/2 cup water. Cover and cook 6 to 7 mintues or until the water is absorbed. Repeat with the remaining dumplings. 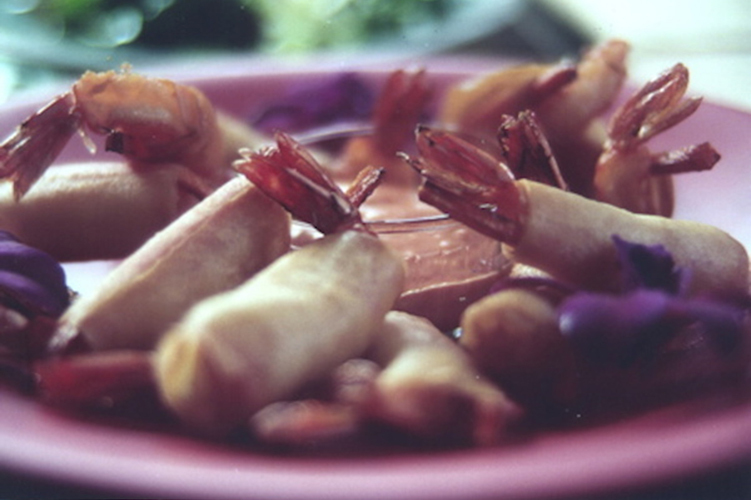 To make the dipping sauce, combine the soy sauce with 1 teaspoon sesame oil. 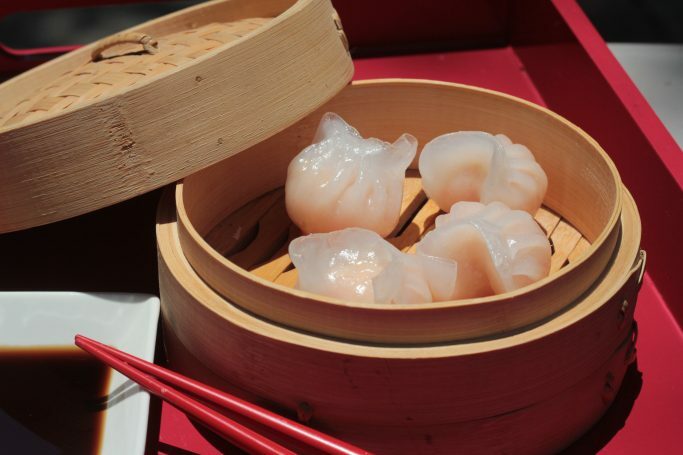 Serve with dumplings. I hope you enjoy these Potstickers with your family on Chinese New Year. It’s a day filled with laughter and good cheer. Get your whole family into the act and dress everyone in red for good luck. Other rituals include not sweeping on Chinese New Year day, so you don’t sweep out all your good luck and don’t scold your kids because only positive sentiments should come out of your mouth. My personal favorite is making sure you step into new shoes on Chinese New Year day so you start the year off on the right foot. Wishing you much happiness, prosperity and good health in the New Year!